Christopher Rawdon was a cotton merchant who resided in Anfield, Liverpool, in the early nineteenth century. 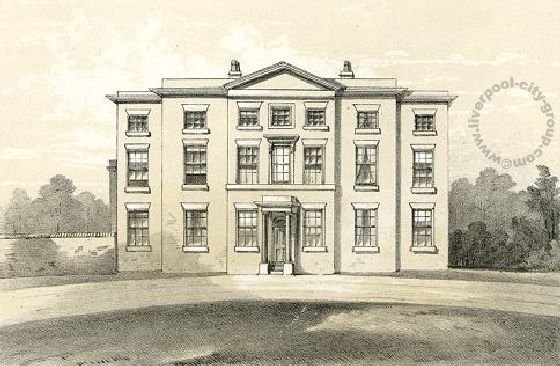 His father, also called Christopher, who had resided in Charlestown, Yorkshire, had a connection with Liverpool through his cotton business, and his three sons; Christopher born in 1780, James and Joshua, moved to Liverpool permanently. Christopher became involved in local politics, banking and, like many Liverpool merchants of the nineteenth century, became an active philanthropist; his family founding a library in Anfield, and Rawdon creating a fund for the Unitarian community of which he was part of. 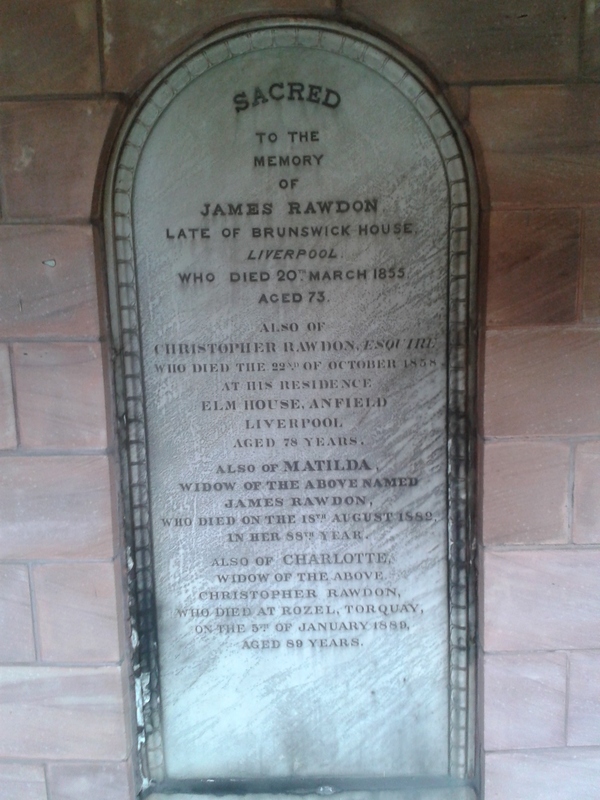 I have been teaching a history group that meets in Anfield for quite a few years now, the history group being known as the Rawdon Residents, the group celebrating Christopher Rawdon’s work for the local community. The library which he founded, helped many of the residents throughout their lives, not just as a place of education, but as a focal point to the community over the years. The local centre where the history group meets – a former Crypt of the Holy Trinity church on Lower Breck Road – also has a Rawdon connection; a nineteenth century memorial fountain to Christopher Rawdon is located outside on the wall of the building, a water fountain being important as a clean water source during the time. Despite the library and the memorial, the details of the life of Christopher Rawdon and the full extent of his work for the community and his career, had been largely forgotten, and as a project the for history group, we decided to research his life using original documents and manuscripts, and write a booklet that could be used by the local community. 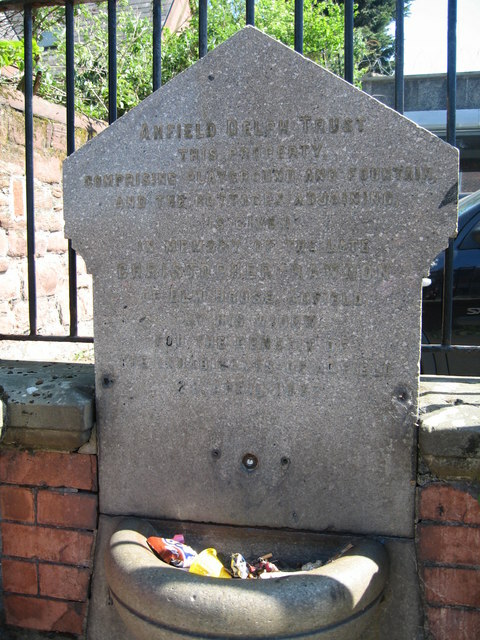 The work done by Christopher Rawdon for Anfield during a period where self-help was the only means of assisting the working classes, can now be fully celebrated, and it is hoped that the booklet can be read in local schools, colleges and local community centres, so that the work of Christopher Rawdon can be rediscovered, and as a local philanthropist, he can join the ranks of other Liverpool humanitarians such as the Holts, Rathbones and the Melly’s. 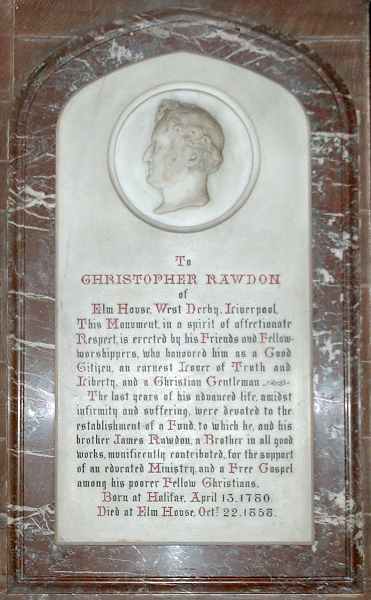 Christopher Rawdon died in 1858, and like other philanthropic families of the port, Christopher, along with his brother James, were buried at the Ancient Chapel of Toxteth in the south of Liverpool, and another monument can be found at the Renshaw Street Chapel, Liverpool, to Christopher’s memory. A radio interview can be heard via the link below of the students and myself discussing the project, and the booklet is due to be published in May 2016.